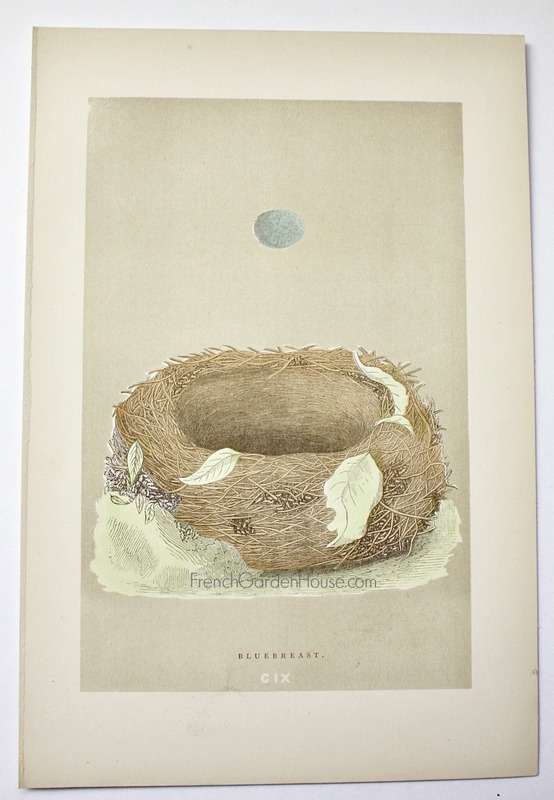 Both the nest and egg are so gorgeous in their shades of golden brown, French blue and light green. To be expected in prints of this age, there may be a few characteristic areas of foxing etc., this print is in beautiful antique condition. Perfect to frame, loves the company of others. Display in a grouping, these nest prints make a stunning statement! Measures: 10-1/4" x 7".